The best way to find out if someone has a food allergy is through an oral food challenge (OFC) where the person is given a very small dose of the food by mouth under the supervision of a board-certified allergist to test for a severe reaction. A new study shows that OFCs are extremely safe, with very few people having a reaction of any kind. The study in Annals of Allergy, Asthma and Immunology, the scientific publication of the American College of Allergy, Asthma and Immunology (ACAAI) examined the results of 6,327 OFCs. The majority of those tested were under the age of 18. Researchers found about 2 percent of those being tested had a severe allergic reaction, also known as anaphylaxis, and only about 14 percent had any reaction at all. Reactions to OFCs that weren’t classified as anaphylaxis involved only one part of the body – such as hives on the skin. They were considered mild to moderate – not severe – and were mostly treated with antihistamines. The OFCs were performed at five food allergy centers throughout the US. 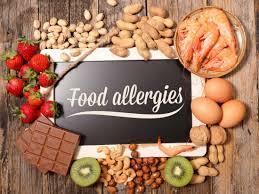 Diagnosing food allergy is not always simple, but the need to make a proper diagnosis is very important. Allergists are specially trained to administer allergy testing and diagnose the results. They can then tailor a plan specific to your allergies. To find an allergist near you, use the ACAAI allergist locator.